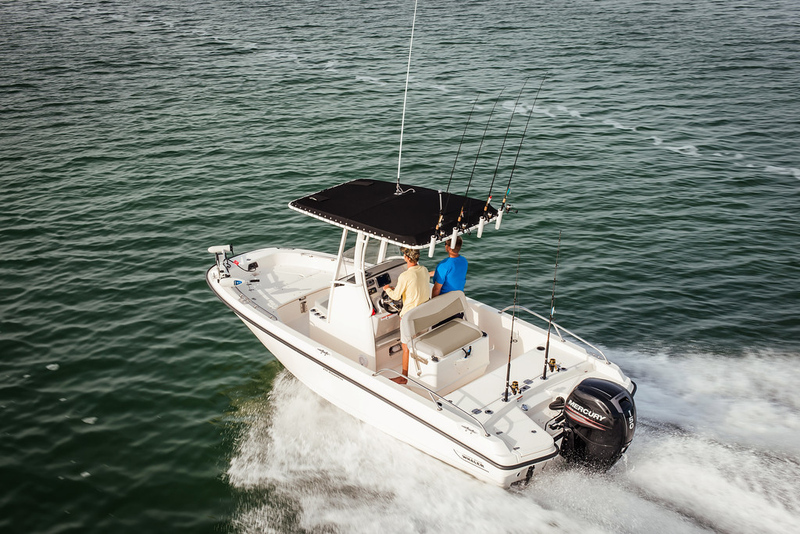 You know you need a boat top to provide shade, a cover that spreads from bow to the windshield, or an enclosure that protects the cabin, but perhaps the official name for the canvas escapes you. Review the basic definitions below to find the canvas you need. 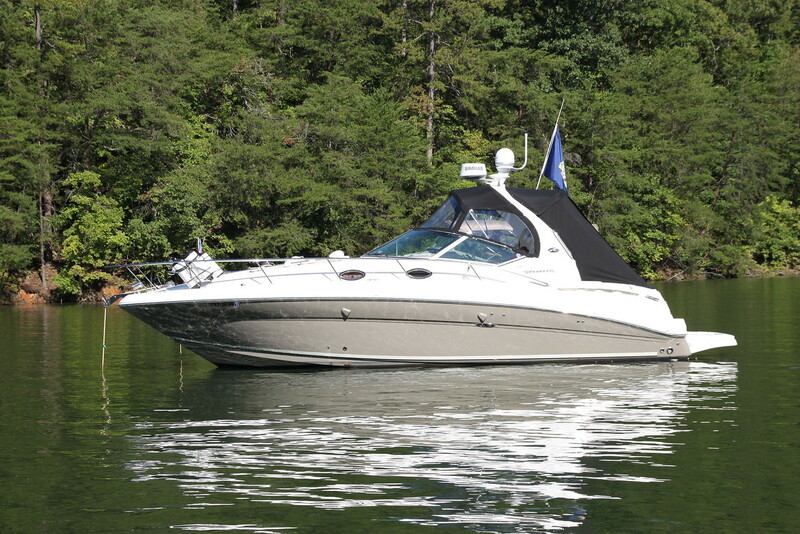 Then request a quote for that bimini top or cockpit cover or whatever your boat needs. 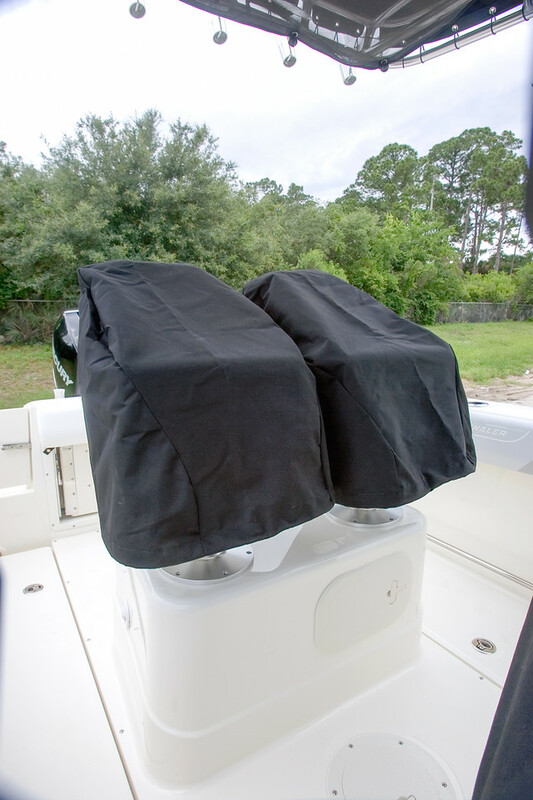 Attaches to the back of a Top and extends back to secure to the aft of the boat. Can contain windows. A framed collapsible top to block the sun. Generally covers windshield or center console area. 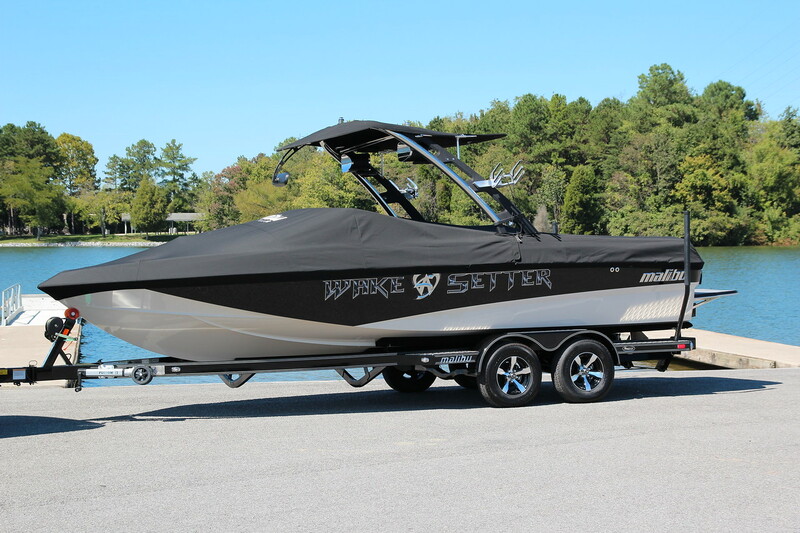 If you have a wakeboard tower, check out our Shade N' Store adjustable bimini top and storage solution to hold wakeboards and inflatable tubes. Snaps to open bow area of boat. Can also be called a Tonneau Cover. 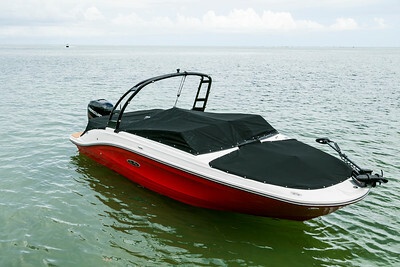 An enclosure attached to the back of a Bimini, Sunshade or Convertible Top that has its own frame to cover to the back of the boat. 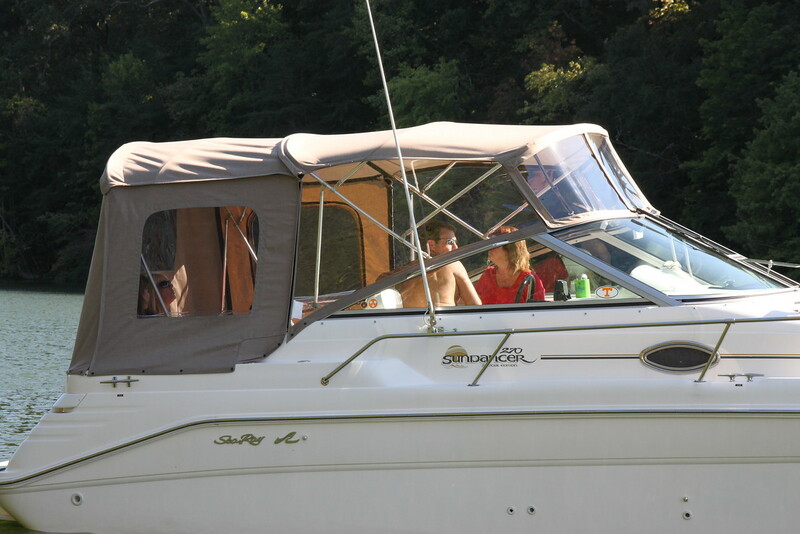 In a sense it encloses the entire open area of the boat. Material pieces that are snapped down to protect carpeted areas in cabin of boat. 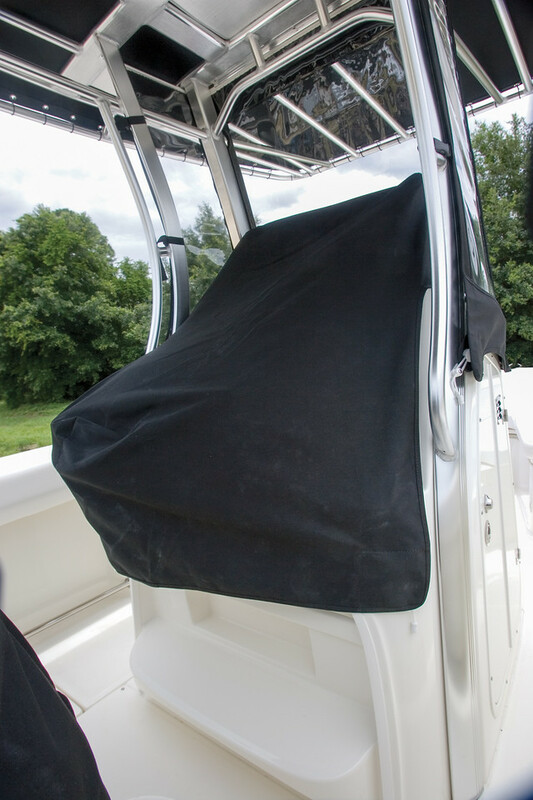 A storage cover that extends from the windshield to enclose the area behind the windshield to the back of the boat. Uses snaps to attach to the deck to secure the cover. Covers the center console and protects the instruments from the elements. A top that snaps to the top of the windshield and has a frame to support it. Normally covers entire open windshield area of a boat. Generally used for protection in foul weather. 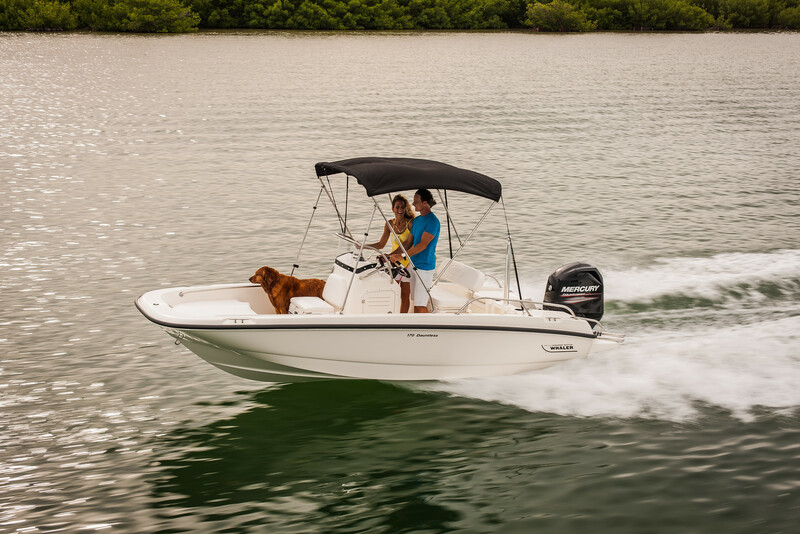 Differs from a bimini top in that it is attached to the windshield, while a bimini does not attach to the windshield, but rather is free standing. Attaches to the back of a Top and drops directly down to the floor. Can contain windows. 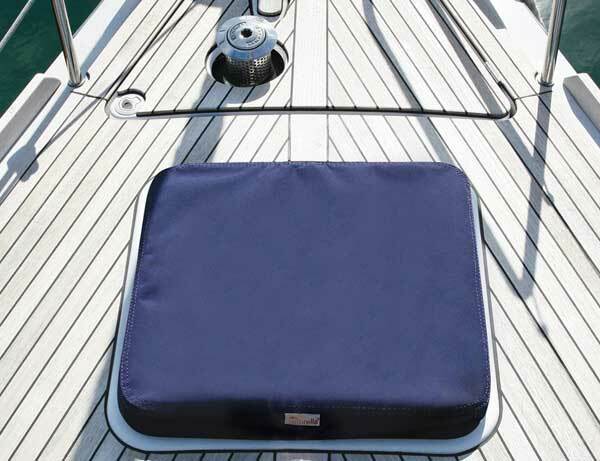 Cover to protect a boat's instrument panel. 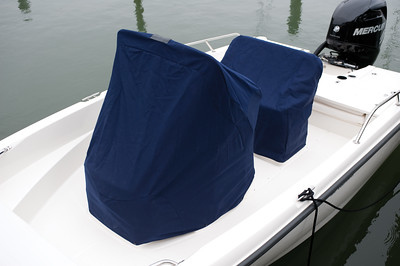 Cover to protect a boat's hatch. 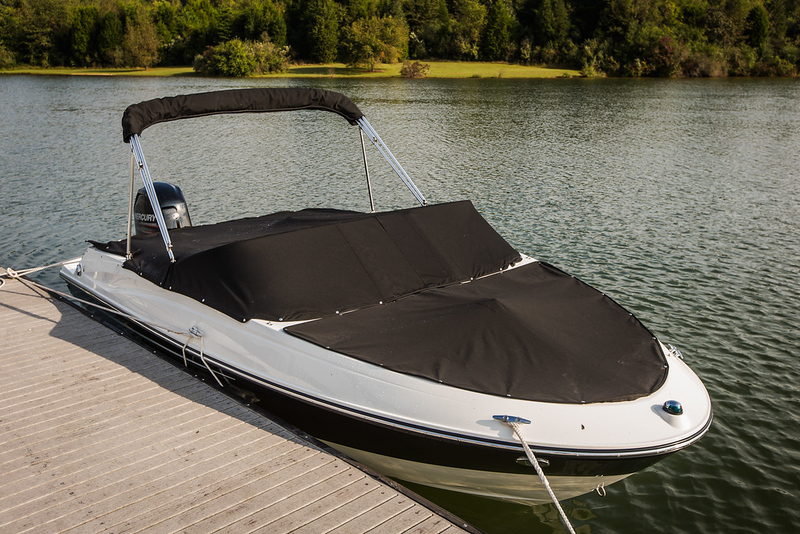 Boat cover protecting from bow to stern and sometimes over the swim platform. Comes just past the rub rail on the side of the boat. 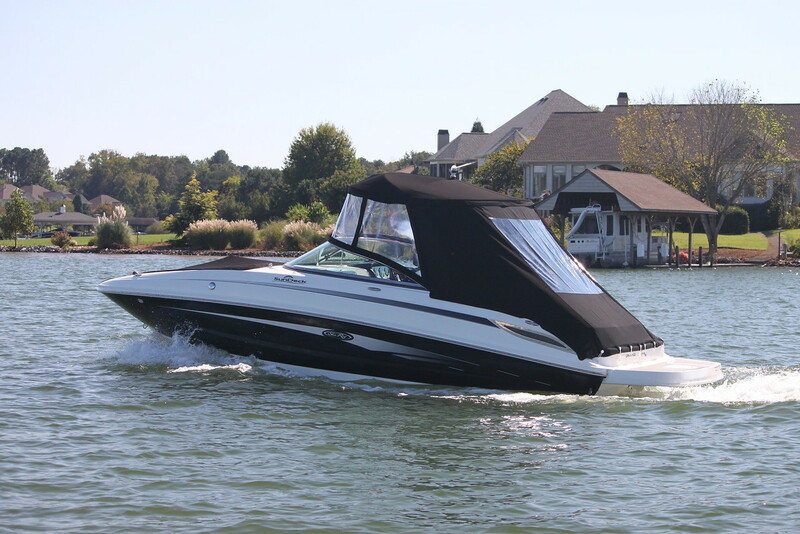 Attaches to the sides of a top and snaps to the windshield and deck on the side of the boat. Normally a clear window. Protects seat upholstery from UV damage and rain with removable covers. Unique bmini top and storage solution that attaches to a wakeboard tower. 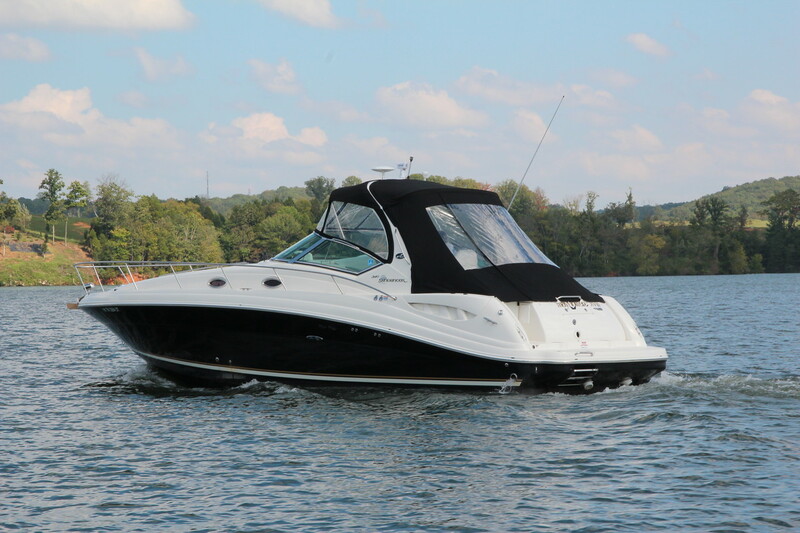 Adjustable to fit all wakeboard towers and can hold up to 3 wakeboards or 1 large inflatable tube. Framed top that extends off the back of a radar arch. Snaps to open bow area of boat. Can also be called a Bow Cover. 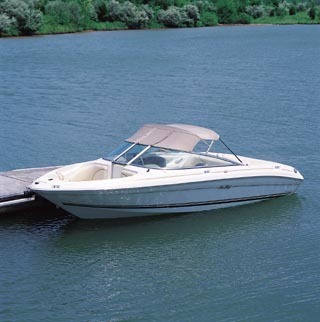 Generally used over center console boats for sun protection. Canvas is laced with rope to attach it to a rectangular frame. 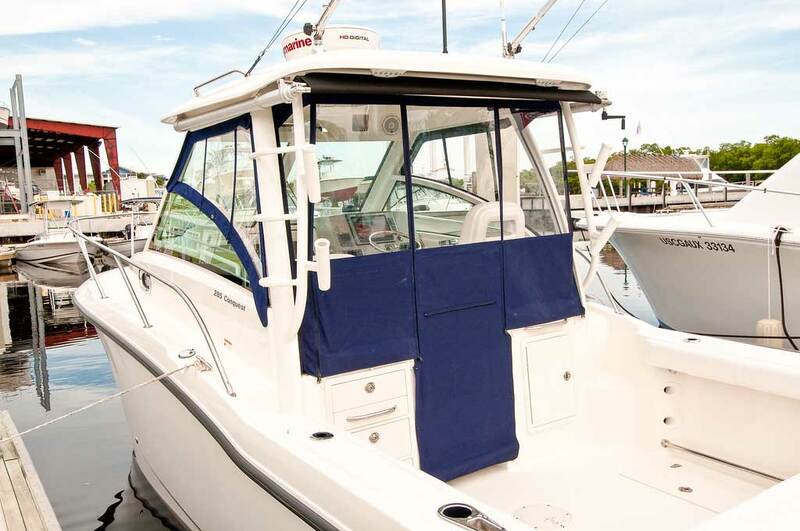 A clear curtain extending off the front of a bimini top or arch, attaching to the top of the windshield. Curtain that covers walk thru area between bow and cockpit of boat. 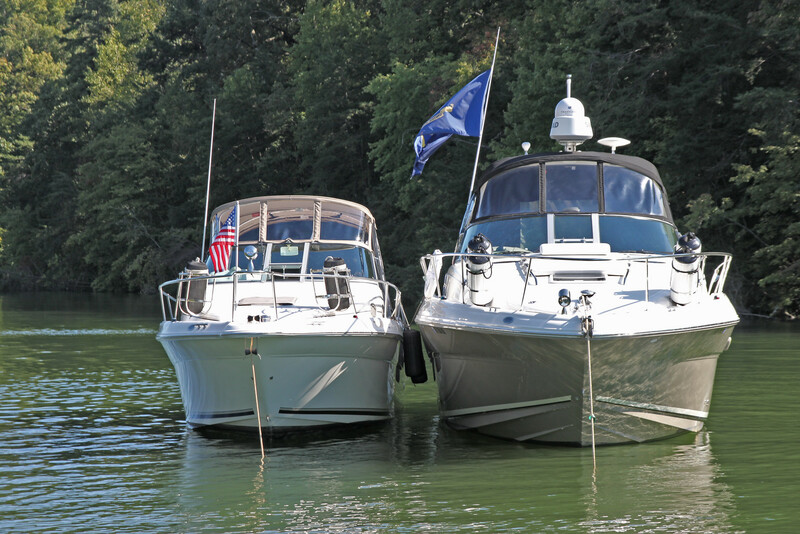 Request a Quote to get a canvas cover or boat top like any of these for your boat.